Dallas Cowboys - NFL Team Color Youth Cap, by Reebok. 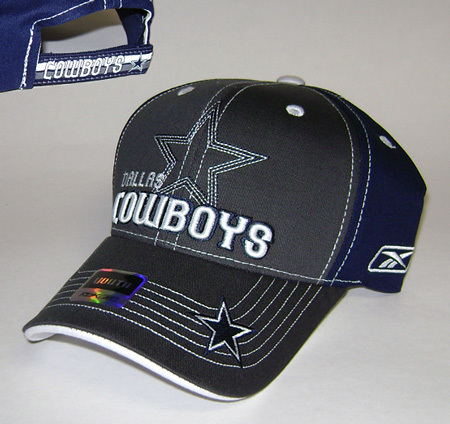 The Dallas Cowboys NFL team color youth cap features a structured style with raised embroidery. This officially licensed Dallas Cowboys NFL kids cap is constructed of 100% cotton and has an adjustable velcro closure. Dallas Cowboys #12 NFL Crewneck Youth Tee, by Reebok. Officially licensed Dallas Cowboys gray NFL youth t-shirt, 90% cotton and 10% Viscose. 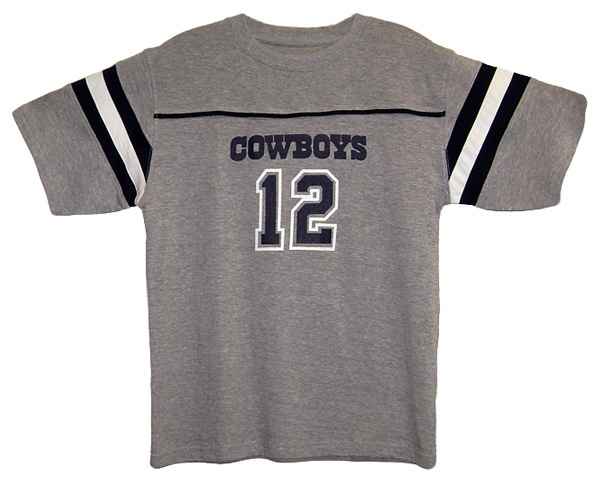 This kids tee features the Dallas Cowboys #12 screen printed on the front. Authentic Dallas Cowboys NFL Apparel.